Technical Helper Posts. Notification released on 14th June 2018 and candidates can apply online till the last date. You will be able to apply online by date that will be update soon and you can also visit its official website jdvvnl.com. Currently RRVUNL (Rajasthan Rajya Vidyut Utpadan Nigam limited) and JDVVNL Discuss on release direct recruitment for various post. Soon you will be able to know about information officially. You can get more details about post and notification from here. Recruiter Name: Jodhpur Vidyut Vitran Nigam Limited. Latest News Updates for Recruitment Notification: Declared Good News!!!! Women from Gen. Category: 5 years. Women from SC/ST/BC/SBC Category: 10 years. Disability (PH) from Gen: 10 years. Disability (PH) from BC: 13 years. Disability (PH) from SBC: 15 years. 1 Electrical 4 year Engineer Degree with minimum 60% (40% for SC/ST/PWD(PH) and Nigam’s in Service Employee) in in 50% Marks Electrical /Electrical & Electronics/Electrical, Instrumentation & Control/ Power Systems & High Voltage/ Power Electronics/ Power Engineering or Equivalent Course. 2 Civil 4 year Engineer Degree with minimum 60% (40% for SC/ST/PWD(PH) in 50% Marks in Structural/ Civil Construction/Civil Engineering or Equivalent Course. 3 Mechanical 4 year Engineer Degree with minimum 60% (40% for SC/ST/PWD(PH) in 50% Marks in Mechanical/ Production/ Industrial Engineering /Production & Industrial/ Thermal/ Mechanical & Automation/ Power Engineering or Equivalent Course. 4 year Engineer Degree with minimum 60% (40% for SC/ST/PWD(PH) in 50% Marks in computer science/ Information Technology/ Electronics & Communication Engineering or Equivalent. 1 Electrical 4 year Engineer Degree in Electrical /Electrical & Electronics/Electrical, Instrumentation & Control/ Power Systems & High Voltage/ Power Electronics/ Power Engineering or Equivalent Course. 2 Civil 4 year Engineer Degree in Structural/ Civil Construction/Civil Engineering or Equivalent Course. 3 Contral & Instrumentation/ Communication 4 year Engineer Degree in Electronics/ Electronics & Tele- Communication/ Electronics & Communication/ Electronics & Power/ Power Electronics/ Electrical & Electronics/ Electronics & Instrumentation/ Instrumentation & Controls or Equivalent Course. Mechanical/Electrical/Production Engineering with full time diploma in Industrial Safety. 4 years engineering Degree in Chemical Engineering. Graduation in Computer Science/ computer Engineering/ Computer Applications/ computer Science & Engineering or Electronics & Communication or Information Technology or Equivalent. Full post polytechnic diploma in Computer Application or 3 Years Diploma in Computer Science & Engineering/ computer Applications/ Information Technology or Equivalent. Graduate with Diploma in Computer Science/ computer Applications/ Information Technology or Equivalent. Note: A Part from the above requisite qualification(s), Candidates must possess working knowledge of Hindi Wirtten in Devnagri script and knowledge of Rajasthani Culture. Candidate who will be eligible here to apply they will be able to submit their application for JDVVNL Recruitment 2019 Online mode. Candidate will be able to submit their application form by visit jodhpur Vidyut vitran Nigam Ltd. official website jdvvnl.com. Candidate stay touch with us. We will update links here to apply online recruitment. After that you will be able to submit your details or your application for you choice post. Mode : Application will be accepted through only online Mode. Not More than one application should be submitted by any candidate, In case of Multiple Applications, only the Latest valid application will be retained and the application fee/intimation paid for the other multiple registration will stand forfeited. However, a candidate can apply for two or more posts, provided that he cannot apply for one post in more than one company. Choose where you want to apply for power company. Ready with scan copy of your passport photograph and signature. You must have valid email id and mobile number. First choose your power company where you want to apply. Now Click on NEW Registration. Complete your registration with entering details like Name, Contact details and Email Id. After that your provisional Registration number and password will be display on the screen and you will also get registration number and password on your mail id and mobile number. You can proceed details by use button Save and NEXT. Completely submit your online application by click on Final Submit Button. You must validate details before final submit. After verifying your details and click on final submit button. Now you can proceed for payment process. Candidates can submit application fee via online mode like using Debit Card / Credit Card/ Net Banking. 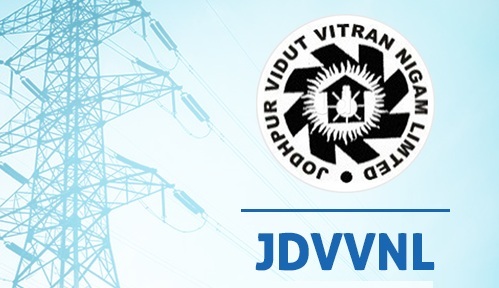 Selection of candidate: candidate selection for JDVVNL Recruitment will be based on the written exam or by check technical eligibility for Technical posts. If you are waiting for Jobs in Rajasthan and want to apply for JDVVNL Recruitment 2019. Keep checking our site for more Government jobs 2019. You can apply for jobs in Rajasthan by check our website. If you have any query and want solution then you can communicate with our expert by comment in below box.